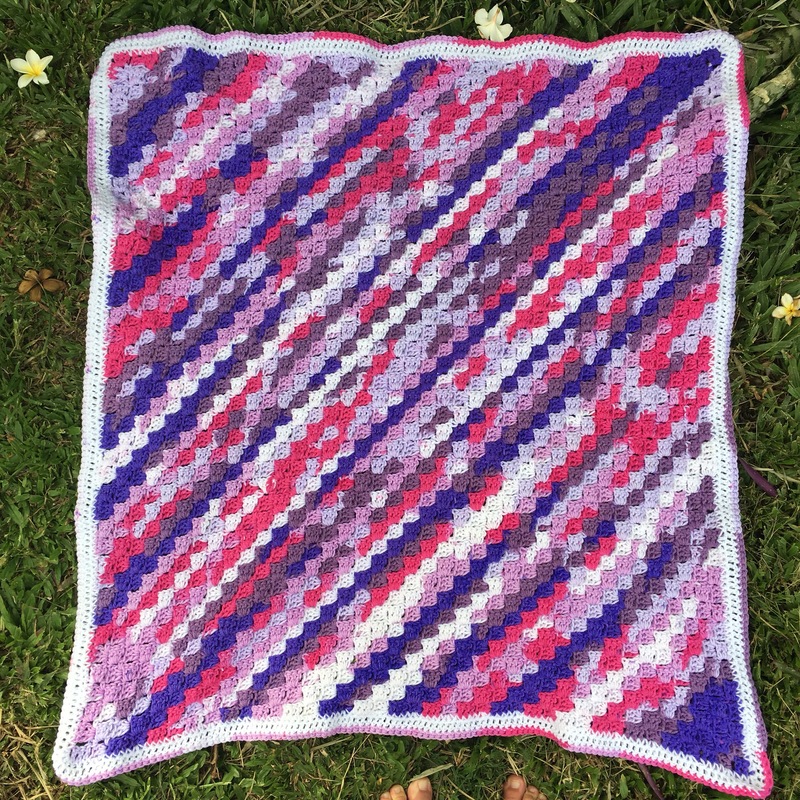 I’ve just finished this lovely pink and purple baby blanket! The yarn is from Ice Yarns and in a style called Dancing Baby and is 100% acrylic and soft. I love how bright the colours are and how they crochet up. This pattern is corner to corner which gives the great diagonal line effect across the blanket. To finish I did a different border than normal. Usually I just do single crochet all around, but this time I changed to white yarn and did single crochet, then a round of double crochet, then swapped back to the original yarn for a final round of single crochet. This gave the blanket a lovely effect (and made it slightly bigger!) This blanket is all ready for my market stall next year! I love it! So pretty! Trying a c2c pattern is on my list of things to do. What did you think of it? That turned out just beautiful!! Merry Christmas! So pretty. It will be loved.